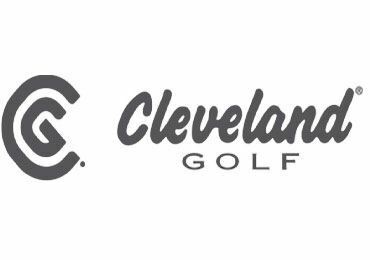 The website offering only the very latest in left handed golf equipment. 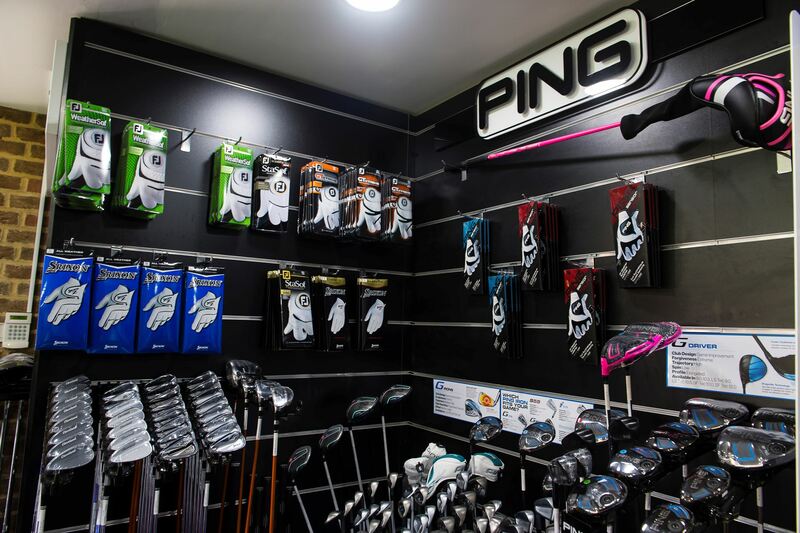 We stock all the latest left handed clubs, equipment and accessories and provide exclusive clearance promotions from the leading manufacturers in the golfing industry. 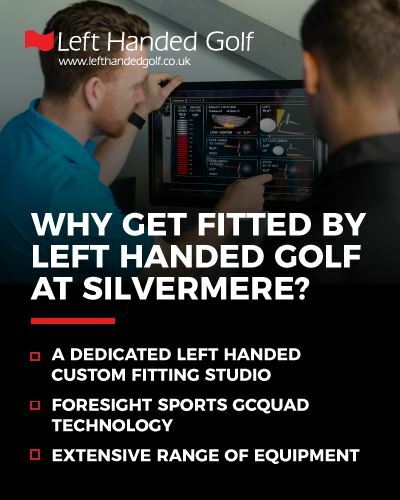 Left Handed Golf Ltd began trading in March 2004 with the goal of offering left handed golfers a truly unrivalled experience and the same level of service and variety only available to right handed golfers. 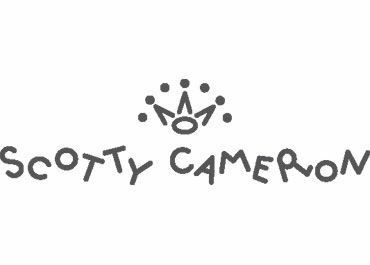 Since then we have fashioned a 1st class service with facilities to match, and we can provide left handers a distinctive and unparalleled shopping experience like no other. 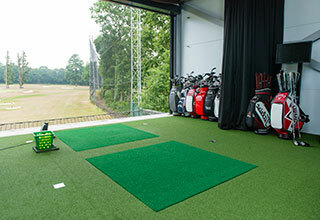 Left Handed Golf Ltd began trading in March 2004 with the goal of offering left handed golfers a truly unrivalled experience and the same level of service and variety only available to right handed golfers. 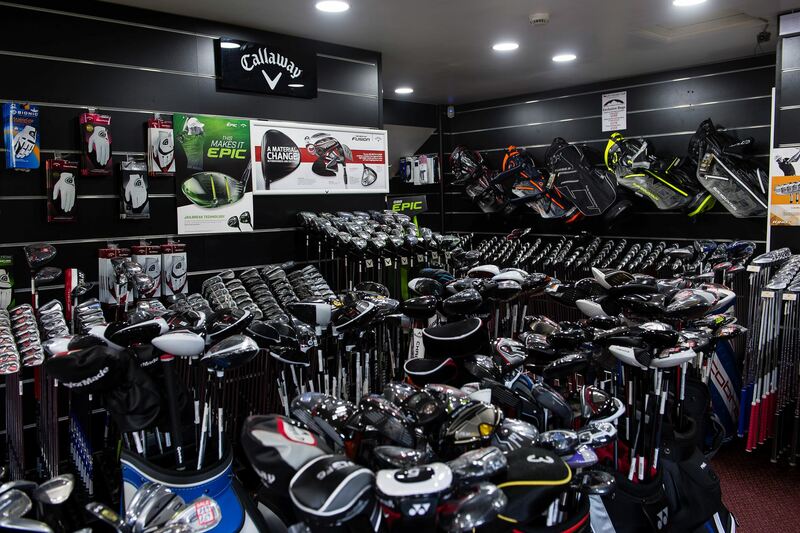 Since then we have fashioned a 1st class service with facilities to match, and we can provide left handers a distinctive and unparalleled shopping experience like no other. 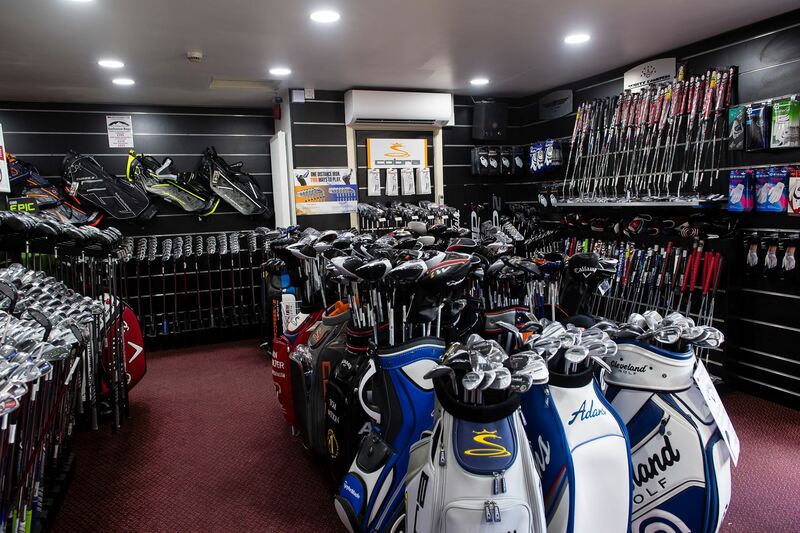 In July 2013 after 9 years based at Kingswood Golf Club we have relocated our Flagship store to Silvermere Golf Club just 20 minutes down the road to improve our facilities and shopping experience even further. Without doubt the location of the most famous golf shop in the south of England we now posses our own unique left hand only golf store here. 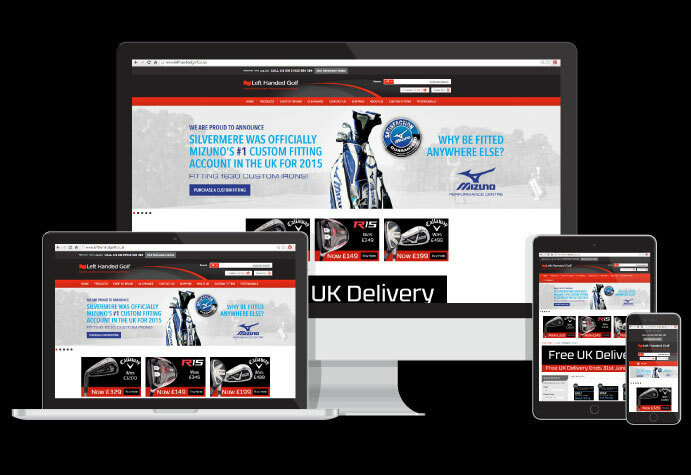 We continue to operate a truly international and very popular website used both here and abroad by thousands of customers. 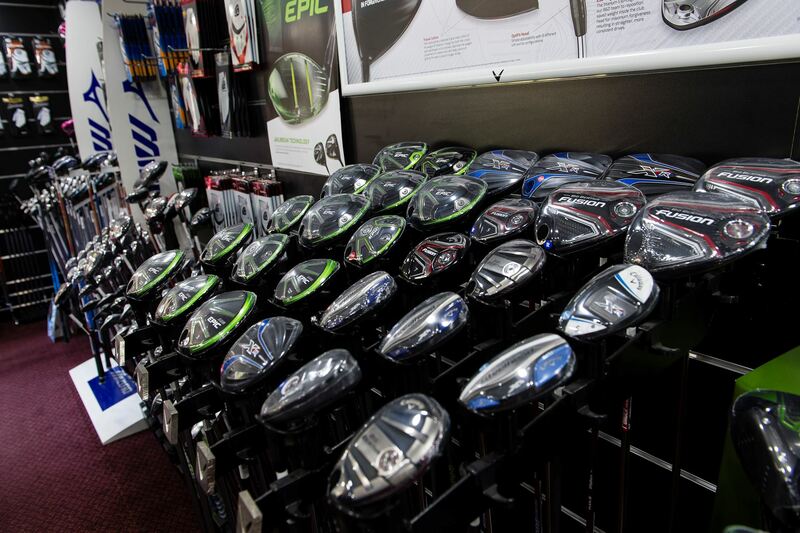 In our Store at Silvermere we stock all the leading manufacturer’s left handed golf clubs and equipment. 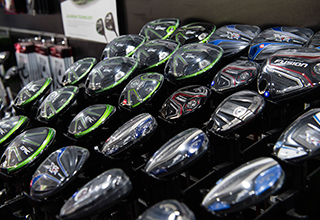 We provide an extensive use of demo clubs and the opportunity to try the clubs before making a decision on any purchases. 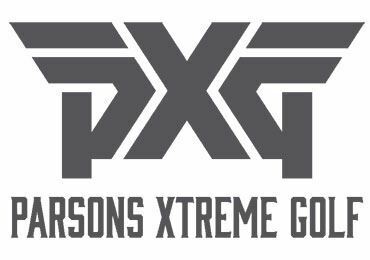 Also please take the opportunity to book any of our PGA Professionals for a full custom fit with Flightscope X2 technology or without or use our concierge club trial service whatever you prefer. In the Northern Store we offer a 1st class fitting service by appointment only, please call beforehand to book. 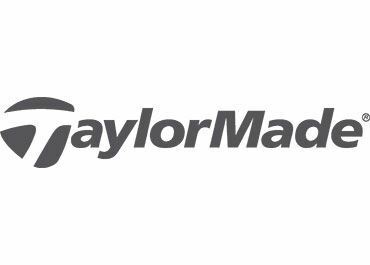 Our stores are Authorised Left Handed Custom-Fit Centre’s for Cobra, Ping, TaylorMade, Titleist, Yonex, Mizuno, Callaway, PXG, Wilson & Cleveland for a Premium fitting service. We are very competitive on price and track numerous other "reputable" websites to be up to speed on some of the lowest prices available. 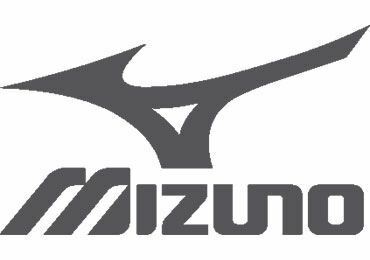 We always have frequent Clearance & Special Offers, but most significantly of all, we offer our expertise to make sure you are purchasing what suits you, not what suits us! 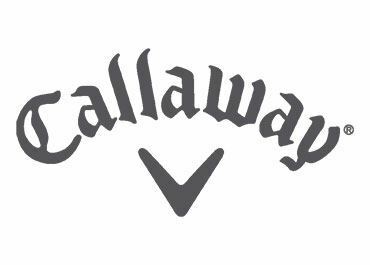 Our staff operate a very efficient and personal mail order or online shopping experience for our customers who are unable to travel to our Left Handed Golf Store at Silvermere in Surrey. These purchases can be made either by phone on 01932 584 384 or use our simple online shopping service. If you require more information, help or assistance on any of these services please call us on 01932 584 384 or e-mail me at terry@lefthandedgolf.co.uk. 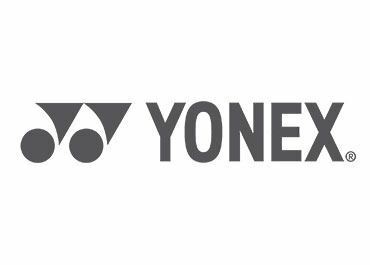 For all Club orders within the UK, we use a 24 Hour NEXT WORKING DAY (when ordered before 12noon) service (excludes weekends) with the ParcelForce network and UPS networks. Northern Ireland, the Scottish Islands, Northern Wales and Northern Scotland will often be 2 days and premium service a.m deliveries cannot unfortunately be met by UPS in these areas. The charge for this premium delivery service is only £6 per order. 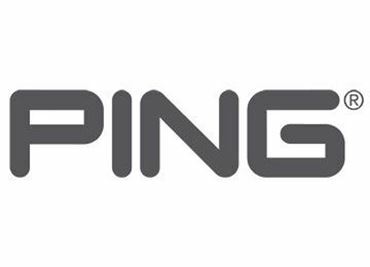 You will receive an email from either UPS or ParcelForce on the evening of dispatch with your tracking number and full tracking facilities on this service. Please note to check your spam/junk email if you do not receive your tracking details from UPS or ParcelForce. 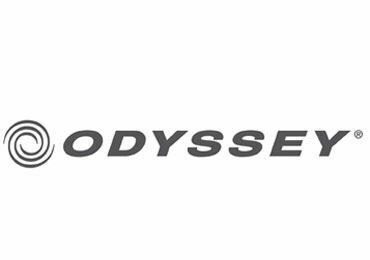 We have opted against offering a lower priced, slower inferior service, to give you complete satisfaction in receiving your goods quickly and without hassle. For all glove orders we use ParcelForce for which we charge £3.50. The lead time on delivery for these products is 3-5 working days.